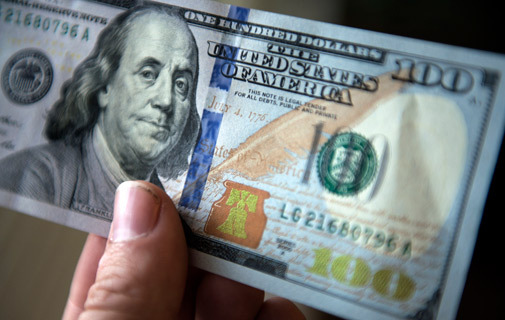 The redesigned US $100 note went into circulation on Tuesday. Michael E. Morrill has been appointed to the board of directors for Ironshore Inc. He will serve as chairman of the Underwriting & Risk Committee. Mr. Morrill is the former deputy chairman of AXIS Reinsurance Group, as well as chairman, CEO and president of AXIS Reinsurance U.S. within the AXIS Capital Group, headquartered in Bermuda. Kevin Kelley, CEO of Ironshore, said in a press release: “We are pleased that Michael will be joining the Ironshore board, as he brings valuable insight given his distinct perspective and knowledge of the reinsurance sector. The Bank of N.T. Butterfield & Son Limited announced that during the month of September 2013, the Bank purchased for Treasury 235,852 Common Shares at an average cost of $1.391 per share. In addition, in September the Bank did not purchase for cancellation any 8% Preference Shares. The Bank of N.T. Butterfield & Son Limited will sponsor the Oktoberfest Student Music Outreach Workshop, to be held at Warwick Academy today, Friday, October 11. Music students from Bermuda Institute, CedarBridge Academy, The Berkeley Institute, Saltus Grammar School, BHS, Somersfield Academy, Warwick Academy, T.N. Tatem Middle School and Sandy’s Middle School will be in attendance. The headliners for Oktoberfest, Oompah Brass, will facilitate the workshop and promise a morning of fun for the students. The band will not only play for the children but will also provide a music master class where the students and the brass band will play a pre-arranged piece together. Oktoberfest 2013, hosted by the Frog and Onion Pub, will take place in the Victualling Yard in Dockyard from October 10 through 13 October 2013. Oompah Brass, comprised of classically trained musicians, will headline all four nights. Oompah Brass has facilitated similar student workshops in other countries through OOMPreach, and brings a wealth of experience working with children. The redesigned US $100 note went into circulation on Tuesday. It incorporates new security features which are meant to deter counterfeiters and help businesses and consumers tell whether a note is genuine. Federal Reserve Board Governor Jerome Powell said in a press release: “As the new note transitions into daily transactions, the user-friendly security features will allow the public to more easily verify authenticity. The redesigned $100 note includes two new security features: a blue 3-d security ribbon with images of bells and 100s, and a colour-changing bell in an inkwell. The new features, and additional features retained from the previous design, such as a watermark, offer the public a simple way to visually authenticate the new bill.